Situated one mile from Orange County/John Wayne Airport, the BRAND NEW Hilton Garden Inn Irvine/Orange County Airport is located within walking distance of the Irvine Business Complex. Enjoy easy access to popular attractions including the Disneyland Resort and South Coast Plaza - recognized internationally for its unparalleled retail collection and award-winning restaurants. The beautiful beaches of coastal Southern California are just minutes from our modern Irvine, CA hotel. 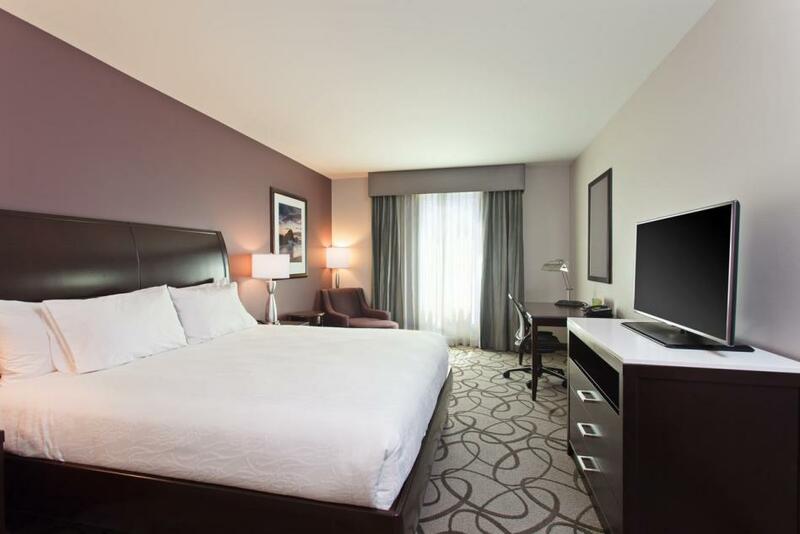 Settle into a spacious guest room or suite, and enjoy homelike amenities, including complimentary WiFi, a microwave, a mini-refrigerator, a large desk, and a luxurious Serta Perfect Sleeper bed. You can also advantage of secure remote printing direct to the complimentary 24-hour business center. With over 2,500 sq. ft. of versatile meeting space, and a dedicated team of professional staff on hand to take care of every detail; this Irvine, California, hotel is the perfect venue for business and social events for up to 120 people.